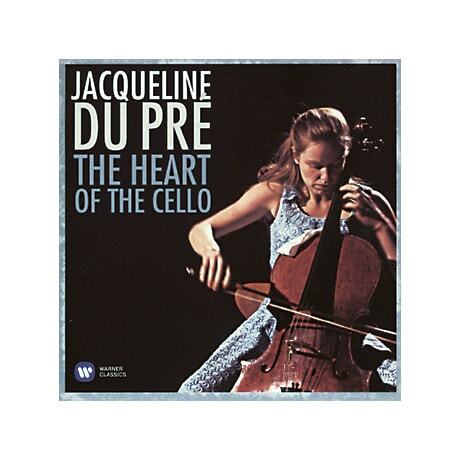 In a career that lasted barely two decades, Jacqueline du Pré earned a place among the very best cellists of all time, and her passionate performances sound every bit as revelatory today. Marking 30 years since her passing, this remastered, two-disc retrospective includes two movements from Edward Elgar's Cello Concerto—the piece with which she will forever be identified—and movements from concertos by Robert Schumann, Joseph Haydn, Luigi Boccherini, Frederick Delius, and Antonín Dvorák. The second disc here includes Du Pré's renditions of Camille Saint-Saëns's The Swan, Gabriel Fauré's Élégie—with accompanist Gerald Moore—the prelude from J.S. Bach's Cello Suite no. 1, and movements from Beethoven's "Ghost" and "Archduke" trios, on which she is joined by Pinchas Zukerman and Daniel Barenboim.